Having put many hours, days and maybe even weeks (at this stage!) of research and discussion into the proper care of leather, I have developed my own technique of preservation. 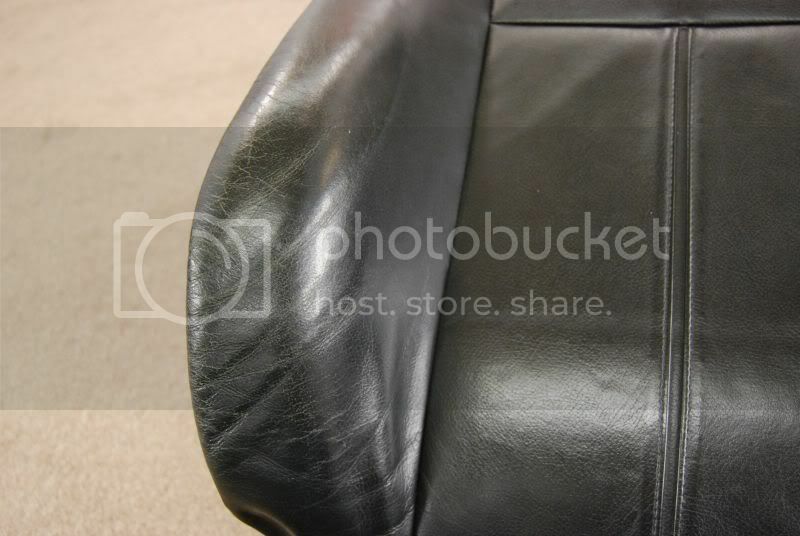 Here is a good example of leather preservation. I would recommend this process for every set of leather but not on a regular basis. Depending on vehicle usage, it should be done every three to five years. 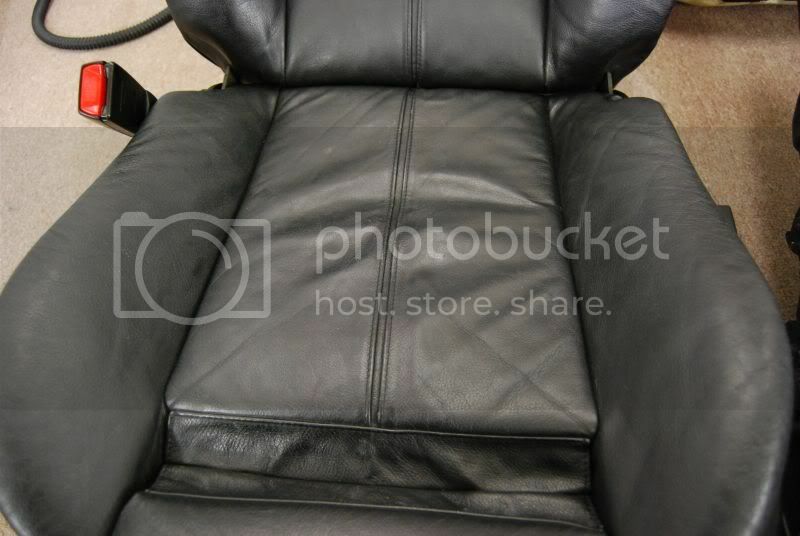 In between times, the leather should only need to be maintained by light regular cleaning with a pH balanced cleaner. Leather does not need to be out of the car for this treatment. 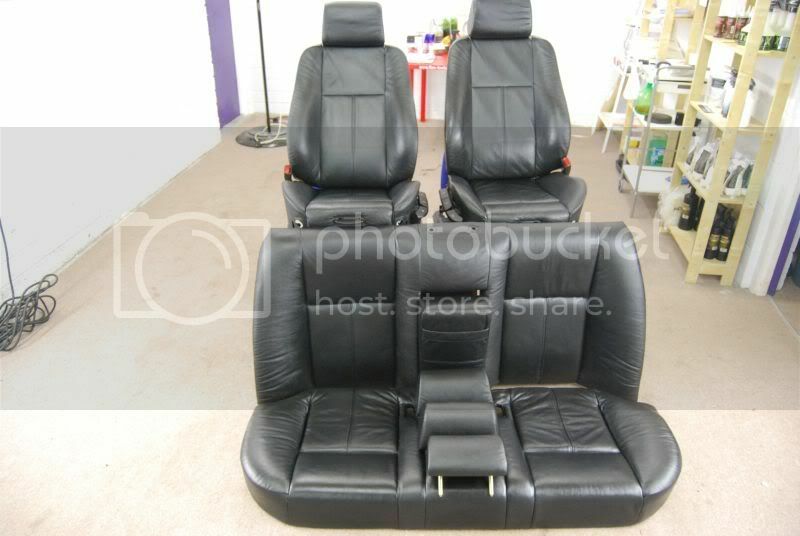 It happened to suit this owner better, but when I have the seats like this, I can do a better job as I have easier access. The first step is Diagnosis. I need to see where the weak points are, how bad is the cracking & crazing of the top-coat, signs of wear, hardness, etc. The next step is the application of the Deep Cleanser. This is applied by hand and rubbed into the surface to ensure even absorption. Contaminants such as body salt, oils antiperspirant, grime, old conditioners and silicones all get trapped in the leather fibrils and this helps to release them while rehydrating. 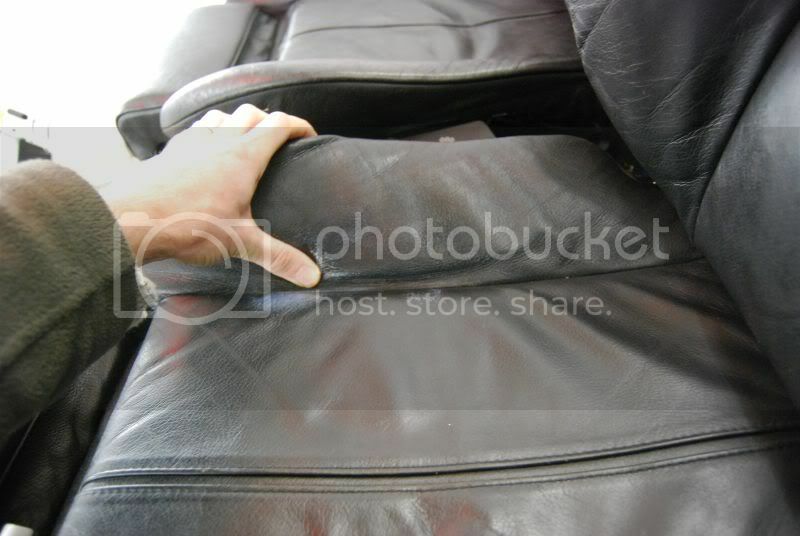 Cracks in leather are points where elasticity has been lost due to constant stretching and relaxing. 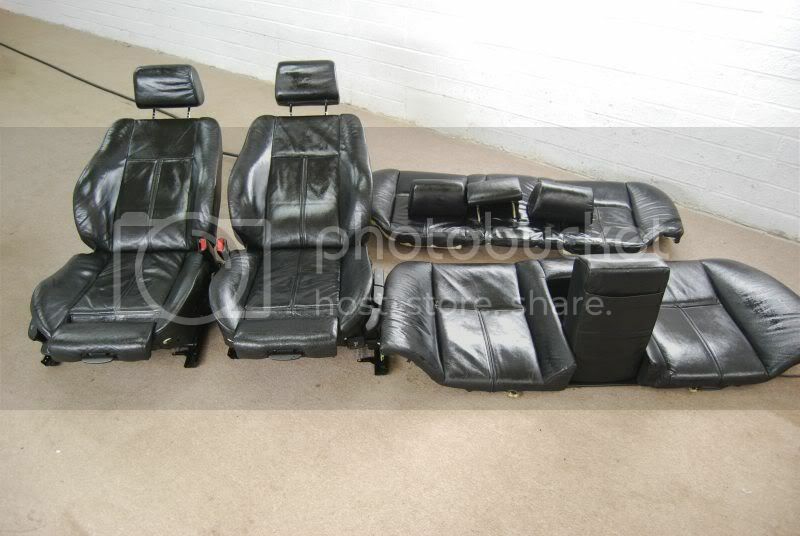 There is no avoiding it, due to body weight and shifting in the seat but damage can be minimised by paying extra attention to these parts with the right preservation process. I leave the initial cleanser to work on the grime for 24hrs. It isn’t a speedy process at this point! 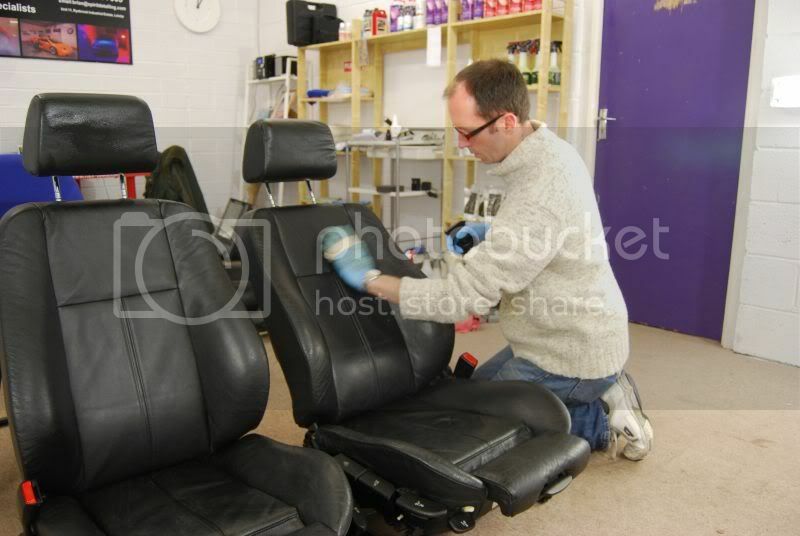 A Fatliquor is applied to the vulnerable parts of the seats and massaged in so the proteins in the fibrils can be revitalised and plumped up. To assist the rejuvenation of leather fibrils and the absorbtion of fatliquors, I use a UV lamp and in some places a heat gun (very gently!). It allows for extra tightening of the leather. It is now important to remove the dirt and grime that has come to the surface. On these seats I used the new Dr Leather Advanced Leather Cleaner and it left the urethane top-coat nicely clean and clear of contaminants. The next part of the preservation is to add a fatliquoring product to stabilise the pH balance and revitalise the fibrils by allowing them to separate and plump up again. This makes it softer to the touch and releases a luxurious leather scent. Once more, this is a leather chemical that is best applied by hand and massaged into the surface. Before applying a protective sealant, there are a few scuffs on the bolsters and panels that need blackening down. 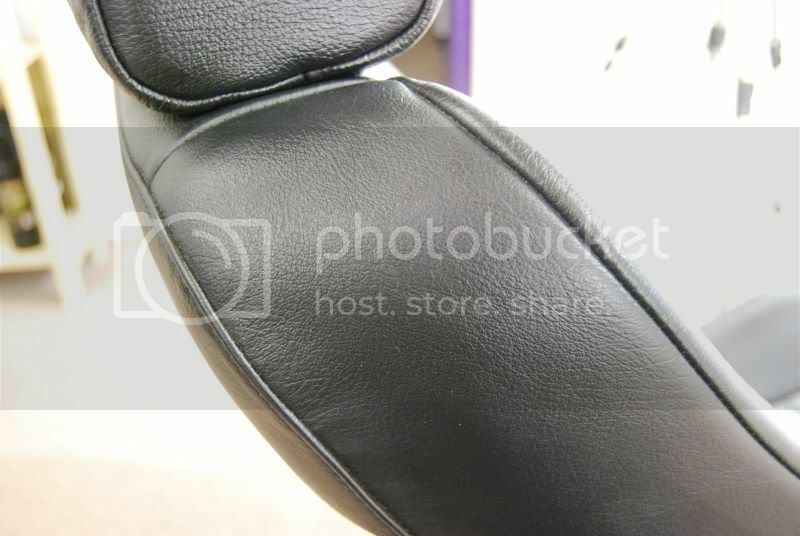 For colour matching, this can easily be done on black leather. 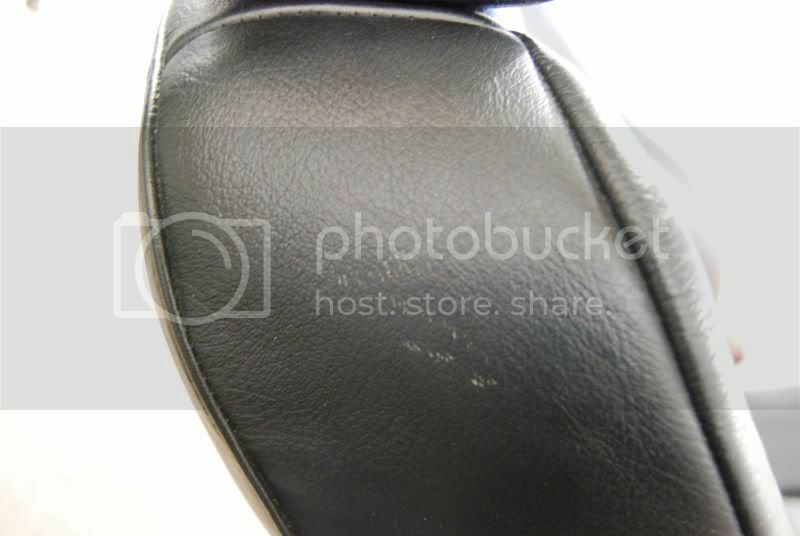 Other colours require some colour-matching and may incur an fee to repair marks like this. The final step is the application of a good long-term sealant. I use a sealant that protects against spills and soiling. It also has anti-rub and anti-squeak properties so the integrity of the finish as well as the hide underneath is well protected. And finally the leather is returned to the owner. 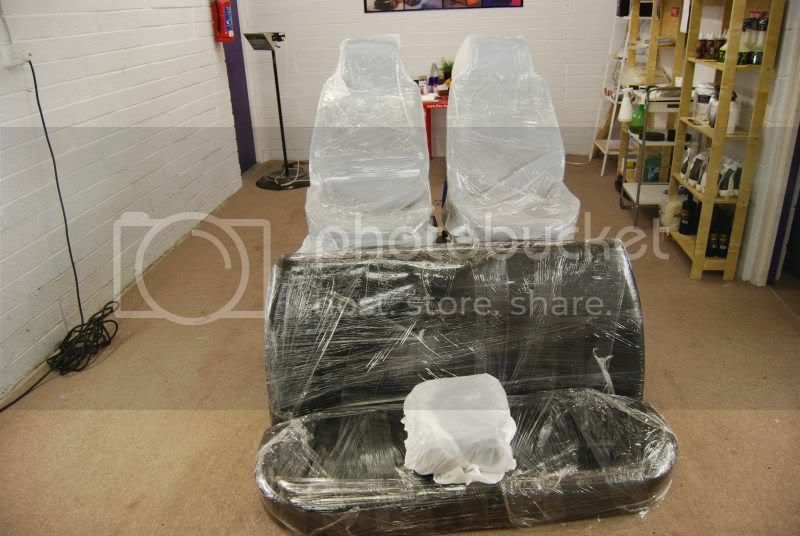 Future maintenance of the seats is just cleaning and perhaps a top-up of the protection. I don’t recommend the use of “Conditioners” as they can damage the top-coat and leave unwanted and unnecessary deposits in or on the leather. My preservation process is almost unheard of in Detailing and car-care circles but is the cumulation of research and testing of products. It is recommended if your car is more than five years old. I strongly recommend it for more expensive marques as it is the responsibility of each owner of a beautiful car that it be preserved in its most optimum condition. The most respected and loved cars in the world are the classic Ferraris, Porsches, Bugatti’s for example. Don’t be the one to let your car age prematurely when it can be preserved both in looks and performance. And having compared my services and experience to others in the same industry, I think your vehicle is in the best hands to have it’s looks preserved at the Spirit Workshop. To discuss your vehicle’s needs, please contact me. 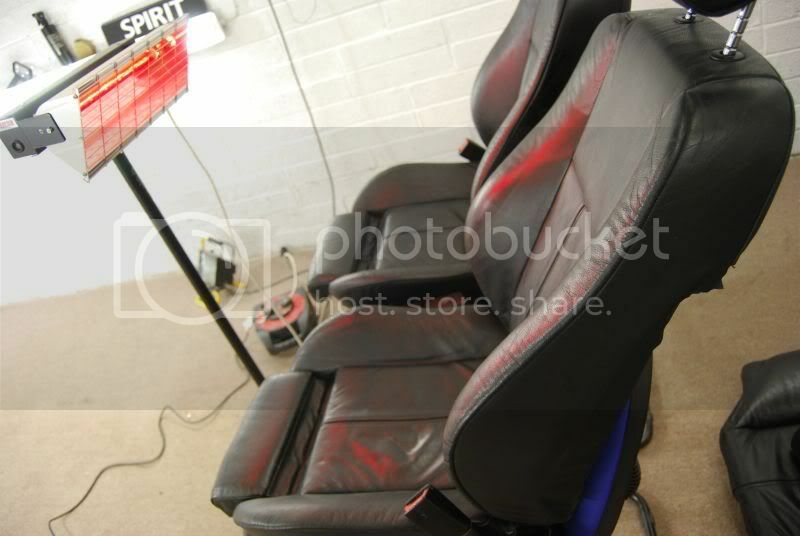 This entry was posted in Interior Care, Leather Preservation and tagged .ie, conditioner, Detailer, Detailing, Dublin, Ireland, Kildare, leather, restoration, valet, valeting, www.spiritdetailing.com. Bookmark the permalink.